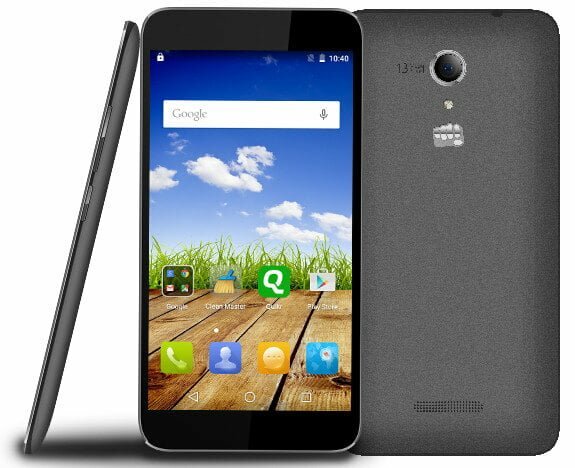 Micromax’s Canvas Amaze Q395 smartphone, which appeared on company’s website earlier this year, went on sale today. The device got listed on a third-party retailer’s website today, at a price tag of Rs. 7,999. The dual-SIM smartphone comes with a 5-inch HD display with a resolution of 1280 x 720 pixels, and is powered by a 1.3GHz quad-core MediaTek MT6580 processor coupled with 2GB of RAM. The phone runs Android 5.0 Lollipop, and has 8GB of internal storage, which is expandable up to 32GB via microSD card. It sports a 13-megapixel primary camera with LED flash, along with a 5-megapixel front-facing camera. It supports connectivity features such as 3G, Wi-Fi, Bluetooth 4.0, and GPS. Backing the Canvas Amaze Q395 is a 2,000mAh battery. The device will be available in Black color, and is expected to launch officially soon. 8GB internal storage, expandable up to 32GB via microSD card. Please inform me that whether the smart phones like Micromax Amaze Q395 and Micromax Canvas Spark 3 or 2 will support MTS sim or not? 1. Micromax never ever provides updates. By adding another 2k, we may go for a much advanced Lenovo K3 Note.